Color image from LLNL Computer Museum. 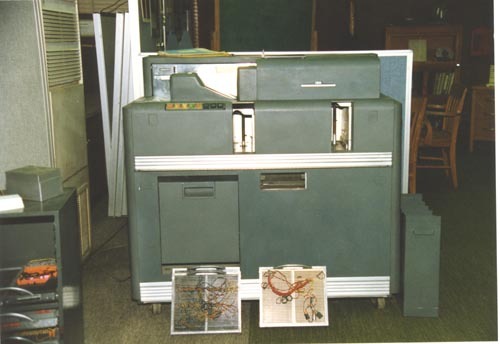 An unidentified IBM card machine with two stackers a read station and control panel drawer. In front of the machine are two wired control panels.